Well, we've got the full game highlights for you right here. 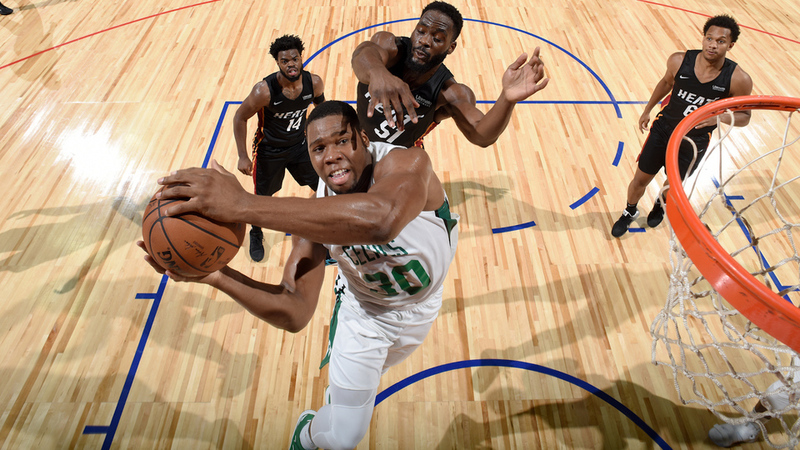 This match between the Boston Celtics and Miami Heat Summer League squads was a fairly close affair early and late. The usual suspects mostly had a quiet night, with Jabari Bird having the night off for rest. Guerschon Yabusele showed some serious leadership chops off as the Summer Heat made a late push, and Pierria Henry and Jarrod Uthoff both had big games as well. Watch the videos below to get a look at the youth movement in action with none of the dull stuff to slow down the action, as well as a little analysis of the outing from the team itself.